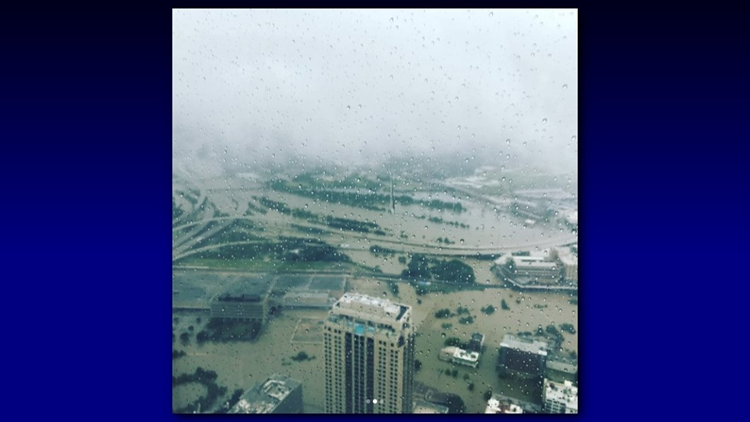 Downtown was hit hard in the flash flooding after Hurricane Harvey, and photos coming from the area are telling a devastating story. Christian Tycksen was in JPMorgan Chase Tower when he took these photos. 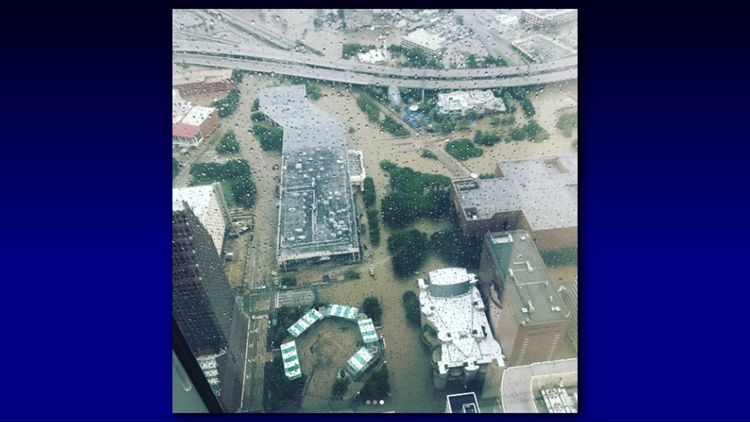 &quot;Downtown Houston just flooded all around.&quot; writes Christian Tycksen (@ctycksen) on Instagram.